A successful CSRF attack can be devastating for both the business and user. It can result in damaged client relationships, unauthorized fund transfers changed passwords and data theft—including stolen session cookies. 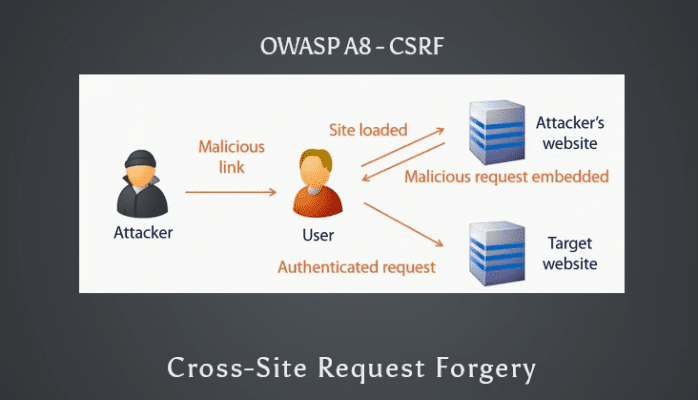 CSRFs are typically conducted using malicious social engineering, such as an email or link that tricks the victim into sending a forged request to a server. As the unsuspecting user is authenticated by their application at the time of the attack, it’s impossible to distinguish a legitimate request from a forged one. For more about OWASP Top 10 Application Security Risks – 2017, please see here. We can take a look at this video to get more details and how to prevent it — a MEU SOLUTIONS Video. Remember to Like, Comment and Subscribe if you enjoyed the video! Also, share if you know someone who would also like this video!